John is a junior this year and is a new addition to this years staff. He spends his free time strumming his six string Fender acoustic and listening to a wide span of rock music that does not fall into any neat category but suffice it to say that his feet start tapping when he hears tunes like “Simple Man” by Lynyrd Skynyrd, “Ramblin’ Man” by The Allman Brothers Band, and “I Shot the Sheriff” by Eric Clapton. John enjoys watching college football in the fall (“Go Dawgs!”) and the NBA in the winter and spring. He loves spending his swift summers spotted up on the beach in Cape Cod, or relaxing at the lake with an ice cold Dr. Pepper in hand. 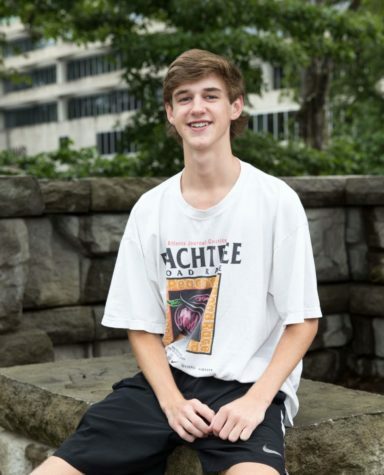 In the coming years, he hopes to attend the University of Georgia and study journalism. Stay tuned.